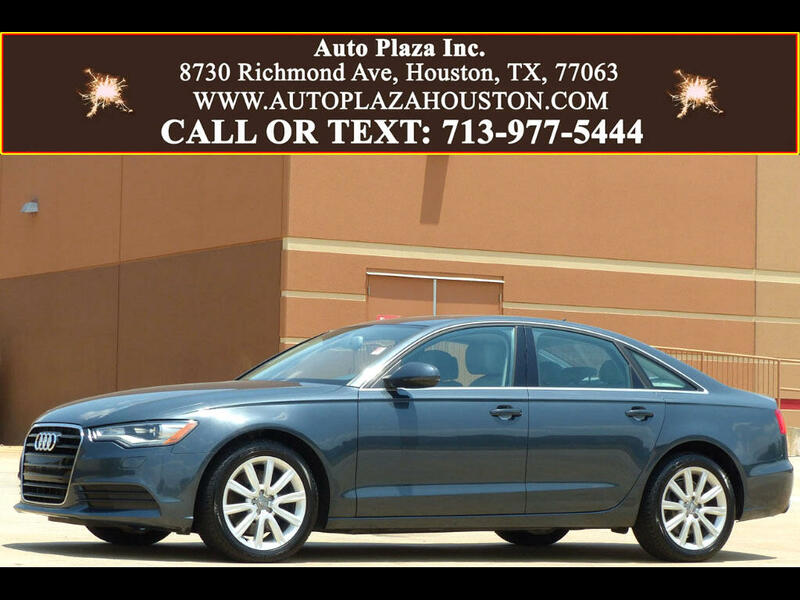 Used 2014 Audi A6 2.0T Premium Sedan FrontTrak Multitronic for Sale in HOUSTON TX 77063 Auto Plaza, Inc.
*-* Low Mileage *-* This SPEEDY LUXURY Sedan makes all your dreams come TRUE!!! Presenting to you this Low Mileage ONE OWNER 2014 Audi S6 with a Super Smooth Automatic Transmission. This vehicle comes with the Style and Audi MMI Navigation Plus Packages Giving you a bunch of Adds!! Options Include, Navigation, Power Sunroof, Xenon Plus Headlights, 7' Color Driver Information System, MMI Audi System*, Audi CONNECT – Online Services**, Premium Audio, Push Button Start, Keyless Go, 18' Alloy Wheels, Power Heated Leather Seats, XM SIRIUS Satellite Radio, Electronic Stabilization, Audio and Cruise Controls on Leather Heated Steering Wheel, Tilt and Telescopic Steering Wheel, Automatic Climate Control, Traction Control, Power Mirrors, Power Locks, Power Windows, and More! *MMI streamlines the controls for Navigation, Entertainment, and vehicle settings under one elegant interface. Google this feature for more interesting facts about this feature! ** Online Services require subscription. That Being Said, You Can Only Know the Audi Experience After You Take a Test Drive and See For Yourself!!! so, Call Now!!! Financing Available.